More than 70 percent of China’s electricity is generated by a coal-fired power plants. It seems the key is still a lack of the concept of environmental protection from the government to the people. No matter what kind of solar lamps, which are made of five parts, the first is a solar cell, and the second is the battery, and the third is its control device, and the fourth is the LED driver chip, fifth is the LED itself . 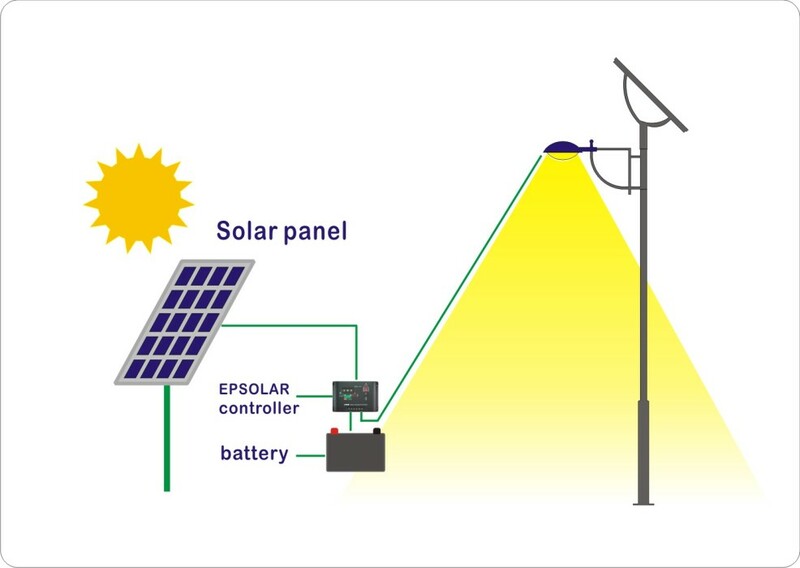 Solar panels are usually hung on high poles, and a lead-acid battery charge controller on the control surface of the box, and LED driver chips are mounted inside the cap. The controller can only control the charging and discharging of the battery charging and discharging process and timing (or light control) power to the LED, but does not stabilize its output voltage. Advantages of solar LED lights is beyond doubt, but its economy has long been questioned. The reason is that it is too large initial investment. Which is the most expensive solar panels, its price is about 40 yuan per watt. In order to ensure it’ll work in 3-5 consecutive rainy weather, usually solar power than LED power consumption 2-3 times. So, for the 100-watt LED lights, with the requirements of solar cell is about 250 watts, so its price is about 10,000 yuan. Another LED lamp price is more expensive now than the price of LED itself HPS expensive, but it is in the process of gradually reducing. Lead-acid battery is priced about as long as a few hundred dollars. The cost of the entire solar lights around 15,000 yuan. Global LED street lamp market reached $ 1.4 billion, the United States in 2008 will add 20 million LED lights. China has one thousand five million lights in 2006, and 20% annual growth rate. That is an annual increase in the number of street lights also have 3 million. Chinese street market reached 50 million yuan each year, including LED street lamp market of about 4 billion yuan.